Juanita is a talented writer, actor, singer and speaker. 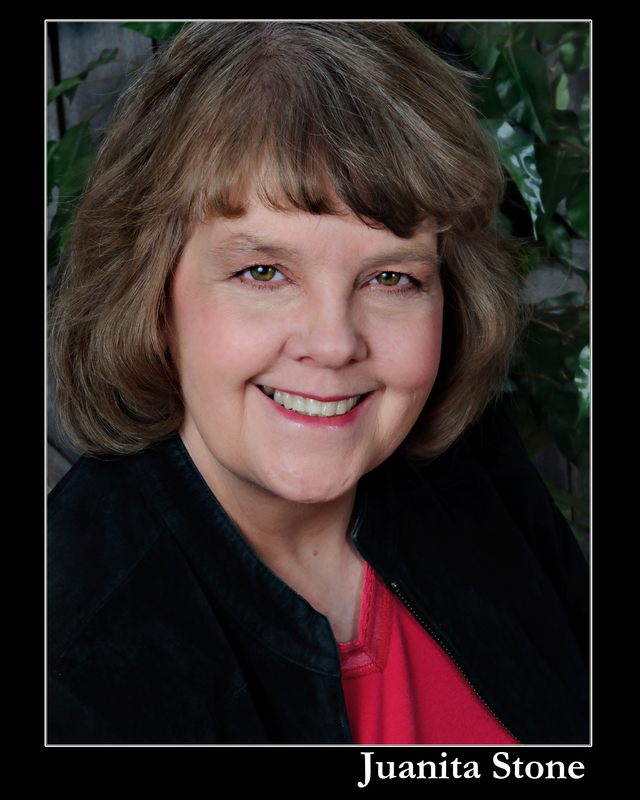 She has written screenplays, children's plays, devotional books, instructional classes and seminars. Her books are available on Amazon. Juanita earned a BSEET degree from DeVry and has been named in "Who's Who of American Women" and “Who’s Who in America”. She will graduate in October 2012 with a Masters in Teaching and Learning with Technology from Ashford Univeristy. She was a technical writer for 12 years and a telecommunications engineer for nine years. Juanita designs webs sites through her company JJS Services which she founded in 1995. Juanita helps her brother with tornado tours through his company Wild West Tours. Check out his web site for the adventure of a lifetime. Juanita studied voice in high school, at Texas Women's University and Collin County Community College. A DJ/KJ for 12 years she has always loved music and started performing at the age of 4 in church. She still does some entertaining for parties. She was in Sweet Adelines for over 10 years and sings in her church choir.